I have a quick card to share today. I used the Big on Birthdays stamp set from Stampin up and the swoosh from Work of Art. 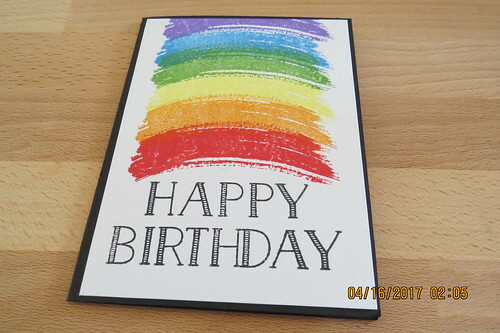 The rainbow is made with Distress inks.